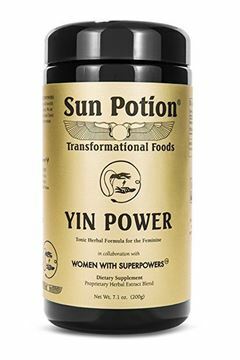 Sun Potion YIN POWER BENEFITS and may support immunity, energy, hormonal balance, mental clarity, stress relief, cellular regeneration, radiance, healthy circulation, emotional equilibrium, creative energy, and libido. OUR SUPERFOOD LOVE NOTE An organic blend of wild harvested herbs, crafted to nourish feminine energy for all the powerful mothers, sisters, daughters, teachers and healers in our global community. 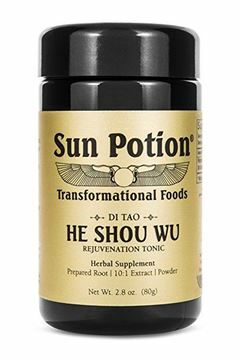 WOMEN WITH SUPERPOWERS has partnered to bring you the highest quality tonic herbs and energetically charged formulation of ashwagandha, tocos, reishi, he shou wu, pine pollen, astragalus, and pearl powder. AN EXCELLENT ADDITION Add 1 tsp to water or your favorite tea for a simple Tonic. Also excellent blended into smoothies, shakes, raw chocolates, warm potions, coffee, and elixirs! THE GREAT PROTECTOR 10:1 Cold water extract powder of the Astragalus Root. This Traditional Taoist Herb is reputed as the Most Potent Qi Tonic in the World! 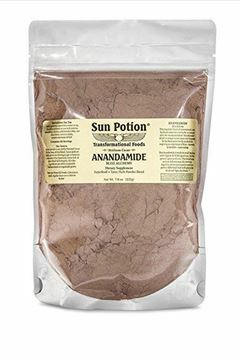 IMMUNE SYSTEM SUPPORT Sun Potion organic, wildcrafted powder extract encourages overall immune system support and assists the body in adapting to stress. 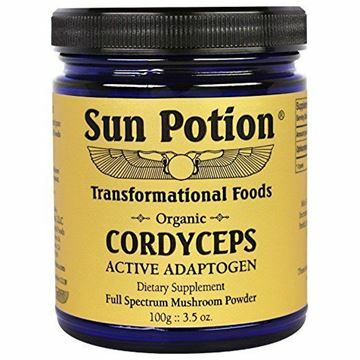 NUTRIENT DENSE SUPPLEMENT Sun Potion Astragalus Powder is a powerful anti-inflammatory, anti-aging compound full of amino acids, antioxidants, minerals, and vitamins. 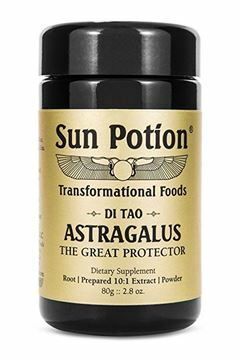 STRENGTHEN AND PROTECT Sun Potion Astragalus Powder reputed to enhance skin health, metabolism and digestion, immune response, energy levels, and whole body function! OUR SOURCE Wildcrafted in the “Di Tao” Region of Origin in China. Contains 80g ~ 50 Servings. Mix 2 grams in water or tea or enjoy by the spoonful. 100% SATISFACTION GUARANTEE Sun Potion products are made in the USA by strict GMP guidelines in an FDA approved facility. We are 100% confident and stand behind the quality. 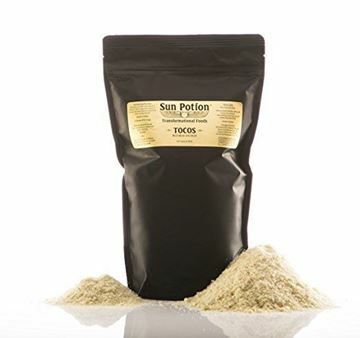 Sun Potion Tocos is an excellent addition to smoothies, elixirs, and creamy potions. Its rich delicious flavor is similar to vanilla ice cream and this makes it a welcome ingredient in all sorts of sweet creations.